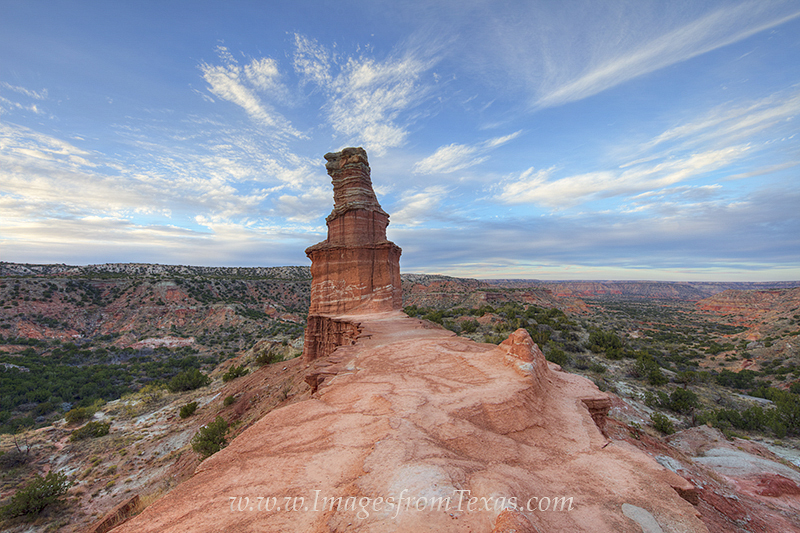 From the butte near the iconic Palo Duro landmark, the Lighthouse, this evening image shows the rock as well as the canyon as it stretches east into the distance. The layers of rock in this gem in the Texas panhandle stretch over 250 million years, and the beauty of this desert landscape is stunning. Photo © copyright by Rob Greebon.